The best thing about this push-your-luck game is the modular board, which provides a lot of variety. That's Life! reminds me a little of Yatzee. The gameplay is very different, but it appeals to the same people who can enjoy a round of Yatzee, and they share the mild push your luck element. 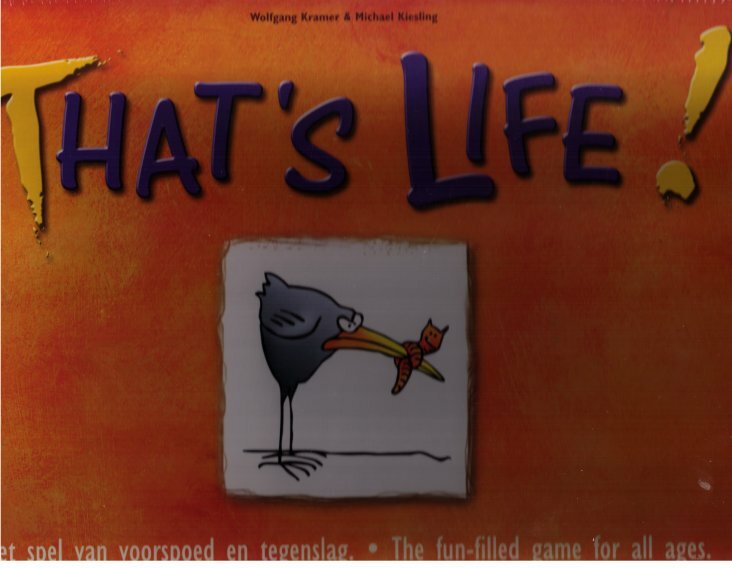 What makes That's Life! much better, however, is that it uses tiles that can be arranged in new ways to create a different track each time you play - this increases the variety and thus the longevity of the game tremendously. Highly recommended for fans of dice games.